Do you want to learn how to hack Wi-Fi password ? In today's modern world nobody can think of his/her life without internet connection right ? But everybody can't afford high internet connection rates. 3G and 4G connections are too costly that common man can't afford it. But guess what, free Wi-Fi is available everywhere, but the only thing is they are secured. So, you just need some guidance and free tool to hack Wi-Fi password right. Just read the below mentioned guide and get free Wi-Fi hotspot everywhere you go. Now first of all do me a favor and ON your Wi-Fi from your laptop. You will see lot of secured wifi hotspot's are available right ? As they are secured you can't get into it. Obviously you need some tool for it. So, if you are looking for simple ways to hack Wi-Fi password then you are at the right place. The above mentioned terms are security algorithm used to protect wifi. Step 1 :- So the first step you need to take for hacking wifi password is to select the network you wanted to hack. Step 2 :- Then just find out which encryption algorithm they had used to protect it. It would be one from the above mentioned three (WEP, WPA, WPA2). In case if you're confused simple select "Auto-detect" option from the software. It will then automatically detect the encryption algorithm. As soon as you press the hack button it will activate the software and start searching for the networks. Once the whole process is finished, you'll see "success" message in green color else you will see "not successful" in red color. Step 1 :- Download and extract the zip file. Step 2 :- Open Wifi Password Hack application. Step 3 :- Enter the SSID/Network name that you wanted to hack. Step 4 :- Select the Security Mode. Select (auto-detect) if you don't know. Step 5 :- Click on "Hack" button. Step 6 :- Enter the Activation Key. Given in zip file (read Read-Me File). Step 7 :- Click "ACTIVATE" and wait for activation. Step 8 :- After Successfully "activation" the hacking process will start. Step 9 :- First it gives the command then it's collect the network packets. Step 10 :- Then Automatically Decode the password using AIRCRACKER-NG. Step 11 :- You will get the Hacked Wi-Fi password. Step 12 :- Copy the Password. Now select network, paste password and click on "connect" button from desktop. Step 13 :- Enjoy free internet. Why do you need to hack and get free wifi ? Now no need to worry about internet bills and all, as you can get it for free. How WI-Fi security tool works ? First of all this tools scan nearby wireless networks. Then It try to establish the connection. After that once the connection is established the wifi hacker program start receiving packets. Now once it has all the packets, it will start decrypting it i.e hacking wifi password by applying its internal algorithm. The password hacking program may take 2-3 minutes to hack the password. Actually the time varies according to the security give to password and the algorithm used with the network. For example :- If password is made up of special characters, special symbols and also contains capital and small letters with numbers. Then it may take couple of minutes to hack that tough password. But if the password is simply made up of small letter then it will hack it into seconds. So, now if you want to crack any wifi security. You just need to install this Wi-Fi cracker tool. I'm dam sure, with the help of this tool you can hack any wifi password you want. Just download it, install it and run it on your computer. So this was all about how to hack Wi-Fi password. I hope you enjoyed reading this tutorial. I don't believe in keeping content locks as it might irritates you and also I don't want you to share this post forcefully but I would be really glad if you share this post with your social media colleagues and friends on Facebook, Twitter and Google plus. You can also subscribe for SolveMyHow newsletter to get latest updates about wifi hack and other hacking tutorials right into your inbox ! I'm you huge fan. The way you create tools to hack wifi passwords are really awesome. Thanks for sharing such an descriptive guide on how to hack wifi password. I really never thought that wifi can be hacked this easily. The snap shot preview itself show how easy it is to hack wifi. wow those were really an inspiring words. Thanks for such an awesome comment. I'm glad you found this helpful. and yes we really put everything to make awesome tools for our readers. I'm glad you shared the post with your social media friends :) This is the only thing we want return. This is something like appreciating our work. P.S Killer gun you must try this, It really working fine. Ofcourse it is real. I'm using this right now too. We only share things once we are confident + once we tested it properly. So, you can go ahead and try this tool buddy. Its working really well. Thanks for stopping by and commenting. Ajay I'm glad it worked for you. Thanks for your awesome feedback ! What reply do you want ? If you have any query regarding this post your can ask here only. This is the perfect tool I was looking for. Thanks piyush and team for such an amazing work. I finally worked. Nothing gives me better feeling than enjoying free wifi everywhere. Thanks for such an inspiring comment. I'm glad this worked for you. Happy to help you buddy. Thanks for stopping by and commenting. John thank you for your feedback. It would be really helpful for my other readers. Hacking wifi password have never been this for me. So my special thanks to piyush and his team. Awesome work. I can hack any wifi password you want. Thanks for stopping by and commenting. Charles thank you for appreciating me and my team. We are really glad to help you. Im on an HP laptop and every time i try downloading it, windows version of course, it sends me to google drive with the "wifihacker.rar" file and i downloaded that onto my computer so i can open the files. But, every time i try opening the file, it asks for a password, and everything i type in does not work. Please Reply. Thanks! We're sorry for the problem you're facing. Daniel we have shared it publicly means to download such tool you don't need any permission or password. Please check you internet connection, or you may try downloading this stuff by using some another device say your android mobile. Please do let us know, if it still not working for you ! We wrote 1000's of lines of code to make this tool and there are several different files. We can't upload the whole folder directly we have to make it zip file. winrar software is available for free. Search it on google and you will get the first link to download winrar. After that simply extract it and use this wifi hack tool. one more question what is the activation key for wifi hack in android version? Thanks for stopping by and commenting. Jicky I recently tested it on windows 8 pro and enterprise + windows 8.1 pro version and its working for me very fine. Please make sure your anti virus is off and try using it one more time. You will be able to hack wifi password. Thanks for stopping by and commenting. Ishank we have sent you key and password. Kindly check your email address. Ishank don't forget to share this post with your social media friends. Thanks for stopping by and commenting. Jaya we have email you the key and password. I did all step download to download Activation Key, but i cannot do this ? Thanks for stopping by and commenting. Jame I'm glad you tried it so hard to get key and password. Jame no need to worry anymore. I have sent you key and password. Jame if possible please do share this post with your social media friends. Why do my antivirus detect trojan in the file? Is this a scam!!! Its not scam, you can read my loyal readers positive comments. wifi password hack tool worked for them and if you will try it will work for you too. Moyare its a hack tool, so please kindly turn off you antivirus. We are hacking someone's else wifi so to run this tool you must have to turn off your antivirus. This tools seems working for me since last couple of days. I hacked 7 wifi accounts and downloaded several GB's of data. All thanks goes to piyush. I really can't afford high wifi connection but still I'm using one through your hack. Thanks for stopping by and commenting. This is the best comment on this post. When my team was making this tool. I personally thought for the people who can't afford high internet connection rates. and your comment really motivated me to work more harder on helping such people. Thanks for such an awesome comment. Wait for some time such more amazing tools are coming in near future. Chris I'm glad this wifi password hack tool worked for you. Thanks for this amazing tool. I was really simple installation. I just extract the file and run your wifi hack tool and succeed in first attempt only. I'm found this worth sharing tool with my social media friends too. Thanks for stopping by and commenting. Nik true said, the installation of this wifi password hack tool is really simple and quick. Simply download it, extract it, run it and hack wifi password. Nik we're glad you shared this post with your social media friends. this is the real wifi password hack tool, I was looking for since long. Thanks it worked for me. It was really to hack wifi password. Thanks for stopping by and commenting. Tanvi thanks for your valuable feedback. I'm glad you liked our tool. Tanvi I hope you're now enjoying free WiFi everywhere you go. Please don't forget to share this post with your social media friends. I'm really amazed by using this tool. It worked for me like charm. Thanks for sharing such an awesome tools for free. You teaches me today the real wifi hacking trick. Thanks for stopping by and commenting. Rohit I'm glad you like our wifi password hacking tool. Thanks for sharing this post with your social media friends. Bro i can't bypas survey so please send me the activation code to my mail plz plz "Aman.bhagat@live.in"
Thanks for stopping by and commenting. Aman we have sent you "activation code". Kindly check you email. Aman don't forget to share this with your social media friends on facebook, twitter and google plus. Don't worry Jill, we have sent you key and password. Thanks for stopping by and commenting. Aarbi don't worry buddy you are almost done. Just do remember you have to turn off your antivirus and give access to wifi password hack tool while installation. Please do let me know if you're still facing any problem. Thanks for stopping by and commenting. Apoorv sorry for the problem you are facing. 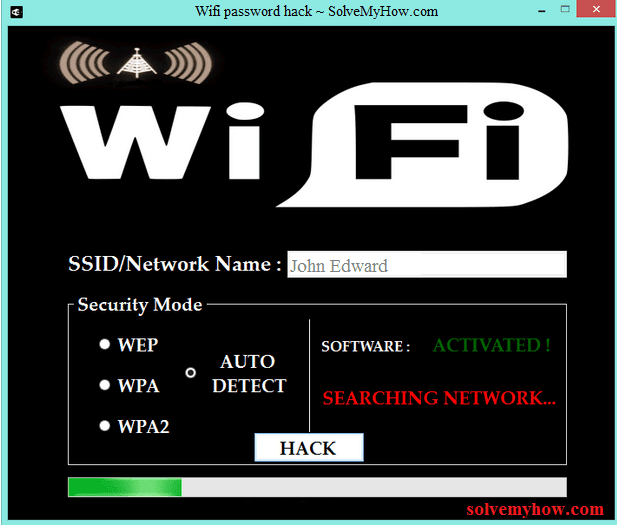 Please visit the above mentioned link and download the wifi password hack tool from there. Thanks for uploading this bro but still I am not able to download as the file size is 0 kb. If I try to download that file then it throws out error, no matter which browser I am using. I don't know why you are not been able to download the file. People can easily download wifi password hack tool from google drive itself. Please try downloading it from you smartphone. Thanks for stopping by. Manik I understand the problem you are facing but don't worry I get it for you. Manik check your email buddy, I sent you activation key. It keeps asking for password while extracting the file. any solution? I'm sorry for the problem you are facing but buddy it doesn't required any password to extract WiFi Password Hack Tool. You can read my other readers comments. They hacked several Wi-Fi's easily. I've uploaded the same file for you. So, kindly download it from there. Thanks for stopping by and commenting. Pakiri We are sorry for the problem you faced while generating activation code. Don't worry, we generated it for you. We have also sent you code on you mentioned email id. Thanks for stopping by and commenting. Komal we have sent you activation key. Kindly check you email. Thanks for stopping by and commenting. Angelina we have recently sent you key and password. Kindly check you email. Sir I have tried many times to bypass survey for activation code but all vain. So I request you to please send me that code to me at apoorvmishra636@gmail.com. Don't worry we have cracked activation key for you and ping you on your email id. Don't forget to check your email apoorv. Thanks for stopping by and commenting. Tadas we understand you concern but you do not need to worry any more. 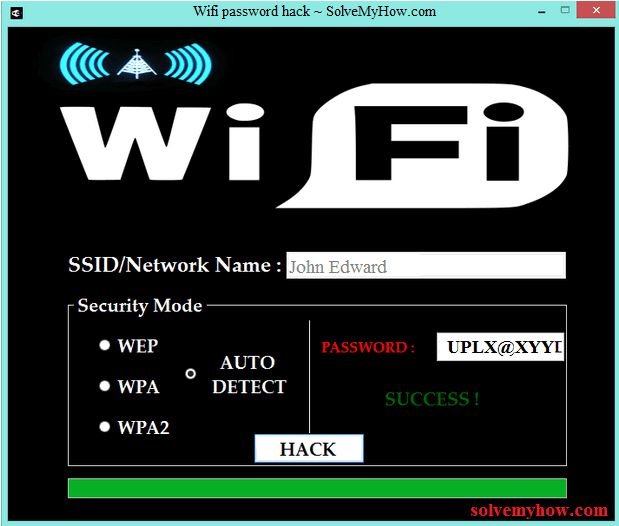 We have recently sent you activation key of wifi password hack tool. Kindly check you email. Tadas don't forget to share this post with your social media friends. I want the activation key for the software as I cannot complete the survey.Email me the password to mulay1utra@gmail.com. Thanks for stopping by and commenting. I'm glad you actually tried but don't worry hereby I'm sending you activation key on your email id. Do share about this post with your social media friends. I have downloaded the file and decompressed it but I am not able to run Wifi Password Hack.exe. It always says Wifi Password Hack has stopped working. When I went to the link of activation http://verified-download.com/file/0Y2g88 it asks for surveys. Thanks for stopping by and commenting. Mayank your antivirus must be on. Please disable it for a while and then try for it. Do let me know if you need any further help :) I would be glad to help you. Would you kindly send me the activation code? My email is clincher_c@yahoo.com. Thanks! Thanks for stopping by and commenting. Jane we have sent you activation key on your email id. Kindly check and do share this post with your social media friends. We only want this thing in favour. Thanks for stopping by and commenting. Friend you need to download the zip file from the above link (link give in the post). Then you need to unzip it and you will get you activation key inside it. whare too find th password plez send to me .. acen110099@gmail.com.. Thanks for stopping by and commenting. Acen you have to download the zip file from the above post. After then you need to unzip it and you will get the activation key. Note :- kindly disable your antivirus before running this WiFi password hack tool. please send me the activation key on my email"rajubaroodali2@rediffmail.com"
Thanks for stopping by and commenting. Chiku we have sent you activation key. Kindly check your email. please help or you can send me another workable file? Also, I need the activation code. Thanks for stopping by and commenting. Yuen you have to stop your antivirus. Kindly disable it when you're running this wifi password hack tool. We have also sent you activation key. Sir I downloaded using Android apk. But it ask for a password what's the password please.. Thanks for stopping by and commenting. Friend we have sent you key + password. Thanks for your kind words and admiring us. We are glad you found the post helpful. Suleman we have sent you activation key of WiFi password hack tool. We would love to know your feedback about the same. Suleman don't forget to share this guide with your social media friends on Facebook, Twitter and Google plus. Thanks for stopping by and commenting. Mayak we have sent you activation key and password. Kindly check your email. Do share your feedback with us. Thanks for stopping by and commenting. Buddy don't worry we have sent you key and password. Don't forget to share this with your social media friends. waiting for youre email as soon as possible,thank you and good day. Thanks for stopping by and commenting. Buddy we have sent you key and password. Kindly check your email. please send me activation key and password. Thanks for stopping by and commenting. Friend we have sent you key and password. Thanks for stopping by and commenting. Astif we have sent you key and password. its not working in windows 10 bro. Thanks for stopping by and commenting. Friend I have recently made some changes in the tool. You can download it again and now it will run on windows 10 too. The Application unable to start correctly<== when i open it why sir? Thanks for stopping by and commenting. Sheddy when this tool Isn't be able to start then there is only one reason i.e you have to turn off your antivirus. This is the pre-requirment of this WiFi password hacking tool. please send me the password on my mail address " kumamredra@gmail.com "
Downloaded app and did surveys but didn't receive the activation code. Could you please email it to westsync@gmx.com ? Sounds like an excellent program! I have not been able to use it because of the Activation Key. Went into the surveys, filled out a few of them and never received the key. Could you please email the Activation Key to westsync@gmx.com ? Thanks for stopping by and commenting. We have sent you key and password on your email id. Kindly check your inbox. Thanks for stopping by and commenting. Manish we have sent you key and password on your email id. Kindly check your inbox. Thanks for stopping by and commenting. Friend we have sent you key and password on your email id. Kindly check your inbox. hey buddy, I do believe that it is real. But i am a real stupid kinda person. i downloaded the ext. file, then opened it. the application ran and then nothing happens. what do i need to do.? Yes this is real. You can read lot of people's review. They are enjoying free Wi-Fi now. Friend we have sent you key and password on your email id. Kindly check your inbox. Thanks for stopping by and commenting. Sathya we have sent you key and password on your email id. Kindly check your inbox. Thanks for stopping by and commenting. Starring we have sent you key and password on your email id. Kindly check your inbox. Thanks for stopping by and commenting. Rahul we have sent you key and password on your email id. Kindly check your inbox. Thanks for stopping by and commenting. Sanjeev we have sent you key and password on your email id. Kindly check your inbox. Satish I recommend you to turn of your antivirus for a while so this program can work properly ! Thanks for stopping by and commenting. Hoss we have sent you key and password. Hoss please don't share this key with anyone else. This is unique for Wi-Fi hack tool. So only one person can use it. Don't forget to share a word about this post with your social media friends. I got the same problem with most people here. The survey is killing me since i can't manage to bypass it. It doesn't event show a survey's link. So could you please be kind to send me the activation code. Buddy I've sent your key and password. Kindly check your mail. Please can you share with me activation key and password, your software and apps are really good, after complete some offers surveys and wait some time they not send me the file please can you kindly send my e-mail:tomsthefany@gmail.com Thanks for the reply. Don't worry we have sent you key and password. Please check your email. Thanks for stopping by and commenting. David We are glad that your liked our post. David we have sent you key and password. Kindly check your email. Thanks for stopping by and commenting. Jill We are glad that your liked our post. Jill we have sent you key and password. Kindly check your email. Thanks for stopping by and commenting. We are glad that your liked our post. We have sent you key and password. Kindly check your email. Thanks for stopping by and commenting. Sachit we are glad that atleast you tried to go thru the surveys. Sachit don't worry we are making this easy for you. Buddy we have sent you key and password. Yeah sure sachit. We will keep doing same kind of work :) Thanks for you kind words. Sachit do help us to share this post with your social media friends on Facebook, Twitter and Google plus. Thanks for stopping by. We have sent you key + password on you mail. Kindly check your inbox. Thanks for stopping by and commenting. Aarbi we have sent you key and password. Thanks for stopping by and commenting. Friend we have sent you key and password on your mail. please send me the activation key on my email"smuneeb08@gmail.com"
Thanks for stopping by and commenting. Mubeen we have sent you key and password. Please do share this post with your social media friends. Thanks for stopping by and commenting. I'm glad you tried to go thru the surveys. Yes its pretty difficult but not impossible. Our team has some expertise to do this task and today we have arranged key and password for you. We have sent you your required stuff on your mail. Thanks for stopping by and commenting. Aayushi thanks for appreciating our work. Aayushi we have sent you key and password. Thanks for stopping by. Its pretty simple. Just look for "download tool" title and then click on "windows.exe" or "android apk" and then you will be able to download wifi password hack tool. Thanks for stopping by. Sugam I have already shared those links in this post itself. Kindly look for "Download Tools" title and click on either "windows.exe" or "android.apk" button to download wifi password hack tool. Thanks for stopping by and commenting. Sure ajay we can send you key and password. Ajay we appreciate your efforts. You really tried so hard to get key and password. But don't worry we have sent you key and password. Thanks for stopping by and commenting. Friend I'm glad atleast you tried it by yourself. Yes this is pretty tough but not impossible. Friend we have sent you key and password. i tried so many times, but i cannot download file from that Surveys. Thanks for stopping by and commenting. I'm really impressed with your efforts for downloading activation key and password. Don't worry Latgach we have sent you key and password. The app is just 4.4 MB and desktop version is 10 MB. You can download both these things directly from the link given in the post. Thanks for stopping by and commenting. Vamsi we have sent you key and password on your mail. Thanks for stopping by and commenting. Alex we are glad atleast your tried to get the stuff by yourself. Alex don't worry we have sent you key and password. Kindly check your email. Thanks for stopping by and commenting. Joey we are glad that you tried so hard to get key and password. Joey don't worry buddy we have recently sent you key and password. Kindly check your mail. Joey don't forget to share this post with your social media friends. Thanks for stopping by and commenting. Kamal we are glad that you tried getting activation key so hard. We appreciate your efforts. Yeah sure kamal we can send you key and password both. We have recently sent you key and password. Kindly check your mail. this is Hiten .i am trying to get ANDROID APK activation code but internet speed is so slow in my area that i cant able to complete those survey. Thanks for stopping by and commenting. Hiten we are sorry for the problem you are facing. The android apk is just 4.4 mb size so you can download it very easily. Hiten right now we are sending you key and password. Thanks for stopping by and commenting. Zahhid we recommend you to turn off your antivirus while installing this software. Zahhid we have sent you key and password. Kindly check you mail. Hey is this works on iPad? Can you please send me the activation key?